Openly available to UoB researchers and others by arrangement. Subject to training and access charges. 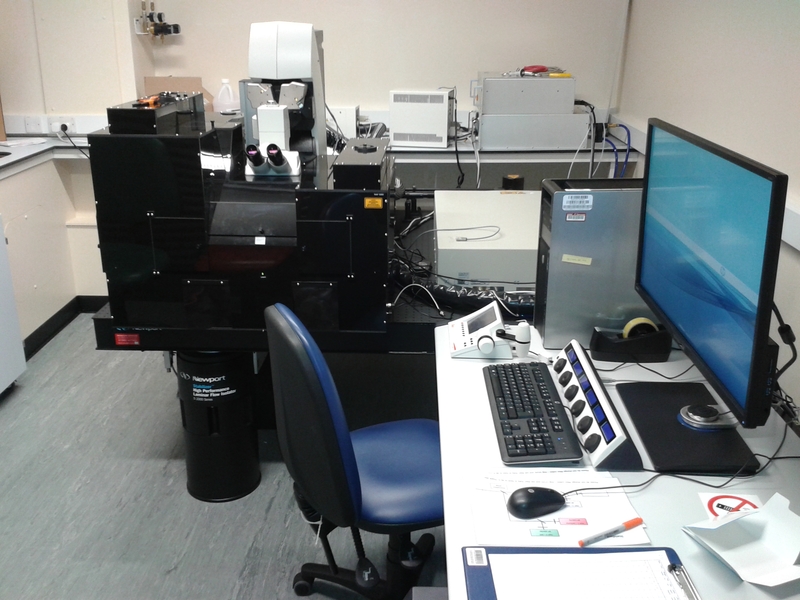 Leica SP8 confocal with visible lasers for CLSM and Spectra Physics DeepSee (670-1300nm plus 1050nm) laser for multiphoton excitation. Internal and non-descanned HyD and PMT detectors for flexible CLSM/MP imaging. Second harmonic generation imaging enabled in forward and reverse directions. On a DM600 upright microscope with long working distance water immersion lenses for deep imaging.